Are you dreaming of something luxurious and ornate, with sculpted rods and pillars, semi precious stones, or even a second door, an unusual colour, higher walls, a decorated tarp, natural wood or special dimensions? 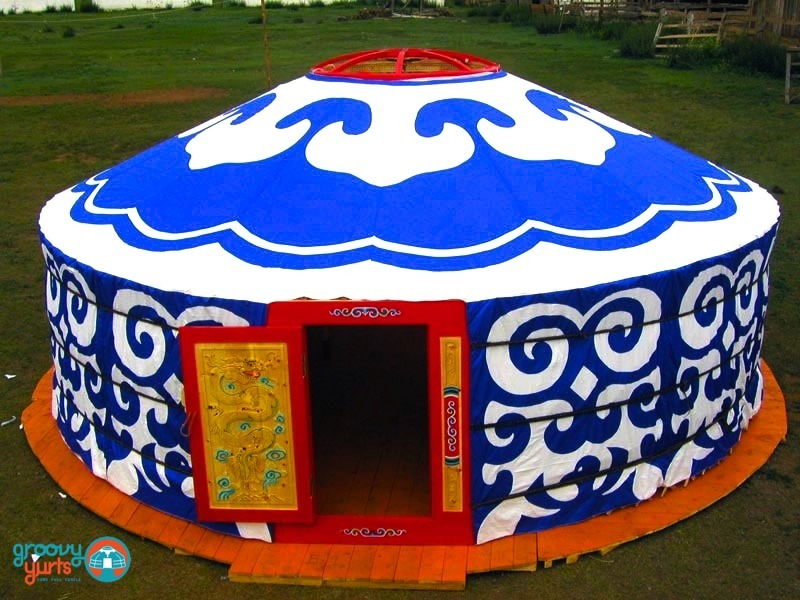 Anything is possible, just place the order and within 3 to 5 months, your wish is our command!We can also supply custom made furniture, connect yurts together, add windows… or advise you how to do it by yourself. You will find more examples of special yurts in our photo gallery.